Normally the Nintendo Wii U does not support remote play with the Nintendo 3DS in the same way that the Sony PlayStation 4 and the Sony PlayStation Vita work together, but it is possible. 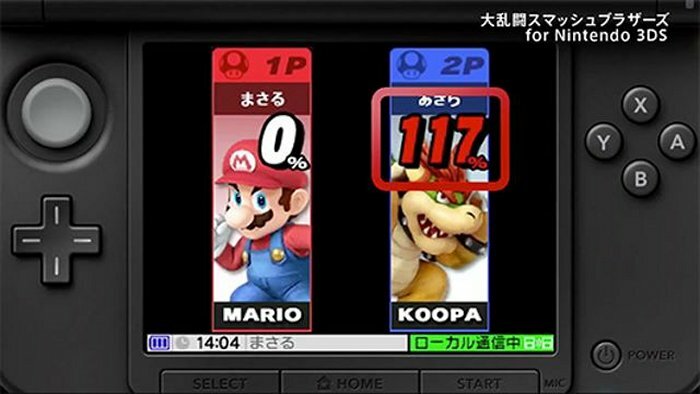 And according to a Gamespot report, the upcoming Nintendo 3DS version of Super Smash Bros. will have a menu which allows the device to function as a controller whenever you play the Wii U version of the game. That should be pretty cool right? And it would help sales of both consoles. If this information is accurate and Nintendo actually allows this to happen, the chances are good that you will also be able to perform a character progress transfer from the Nintendo 3DS handheld over to the Wii U. So, let’s hope that this info is on the money. The menu apparently reads, “Connect to a Wii U – You can exchange custom fighters or use your Nintendo 3DS as a Wii U controller”, so that pretty much says it all. For now take it with a large grain of salt. It will be confirmed or debunked by the time Super Smash Bros. is released on both the Nintendo 3DS and the Wii U on October 3rd. We don’t have long to wait.